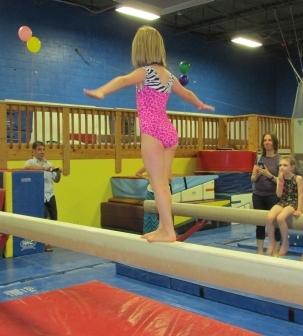 One Stop Fun’s facility includes a full size gymnastics floor, beams, bars, Tumbl Trak, vault, rings, and foam pit for your child’s gymnastics development. 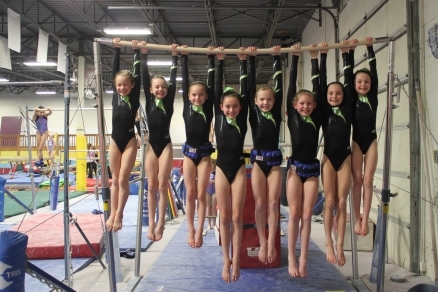 Our mission is to provide top-notch gymnastics training opportunities, whether in the recreational class setting or in connection with our highly-competitive team program. 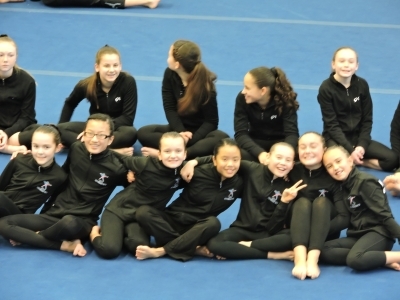 Nashoba Gymnastics Academy was established to foster excellence in the teaching of gymnastics. Nashoba Gymnastics Academy is a member of USA Gymnastics, the governing body of gymnastics in the United States, and offers a comprehensive program that includes Pre-School and Recreational Gymnastics Classes for both boys and girls as well as a competitive Team Program for girls. We provide children of all ages and abilities the joy of learning gymnastics in a fun and safe environment. Our professional coaches create a positive learning experience and tailor their approach to each child’s needs; all of our team coaches are USAG safety certified and professional members of USAG. Click here to view our Revised 2018-19 Class Schedule and Descriptions. Not sure which class or level is the best fit for your child? Come in for a free trial class and let us help you decide. If you have any questions or would like to schedule a visit to the gym and/or an evaluation for placement in our Recreational Classes or Team Programs, please contact jcoffey@westfordrac.com.